We are successfully engaged in manufacturing and supplying a wide gamut of Chain Pulley Block. 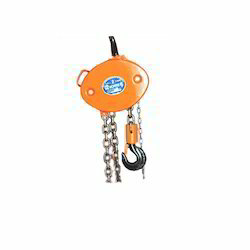 - Chain pulley Block are used to material handling during construction. 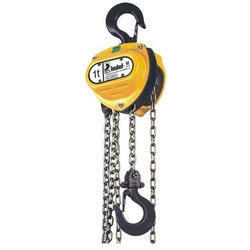 We are offering to our valued customers a fine range of Chain Blocks. These blocks come in technically advanced designs and offer efficient performance. Our range is widely appreciated for its attributes such as portability, rugged construction, operational efficiency and to tackle heavy loads.